KBC Remodeling Services in Longmont offers an extensive list of home maintenance services to help you tackle the gargantuan task of spring cleaning! Gutter Cleaning & Repair: If you notice water stains on your siding, that is a sign of clogged or damaged gutters that are not properly funneling runoff from the roof. Deck Repair & Sealing: Inspect your deck allover, paying close attention at ground level and at the house connection for signs of structural damage like loose or rusted bolts, rotting beams or black mold stains, for example. If the damage is just cosmetic, a thorough cleaning, staining and resealing will extend the life of your deck and make it look great again! Fence Repair & Installation: Check for any warped, loose or splintered boards that will need repaired. If the finish is not aging well, spring is a perfect time to clean, stain and reseal it. Sprinkler Maintenance & Repair: Test the sprinklers as well as outdoor faucets to make sure they are operating properly and haven’t sprung any leaks. Drywall Repairs: As you go about your spring cleaning, you may notice a few places where drywall has been damaged and needs repaired before applying a fresh coat of paint. Flooring Restoration & Repair: Just as you inspected your deck and fence for cosmetic damage, do the same for your wood floors. If any gaps or water damage occurred over the winter, now is a great time to strip and refinish hardwood flooring. Caulk & Grout Repair: And should you notice areas of worn or missing grout or caulk while cleaning tile in the bathroom or kitchen, don’t delay having these refilled or more serious water damage may occur. Tile or Stone Replacement: If water did seep behind and loosen a few tile or stones, replacing and resealing the loose pieces will prevent mold or mildew from developing and spreading in the warm temperatures ahead. Should you come across any of these problems while spring cleaning, don’t hesitate to call us for your handyman or home repair needs! 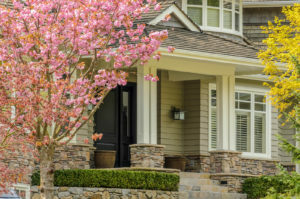 KBC Remodeling Services in Longmont is happy to offer affordable home maintenance services to help reduce your spring to-do list.